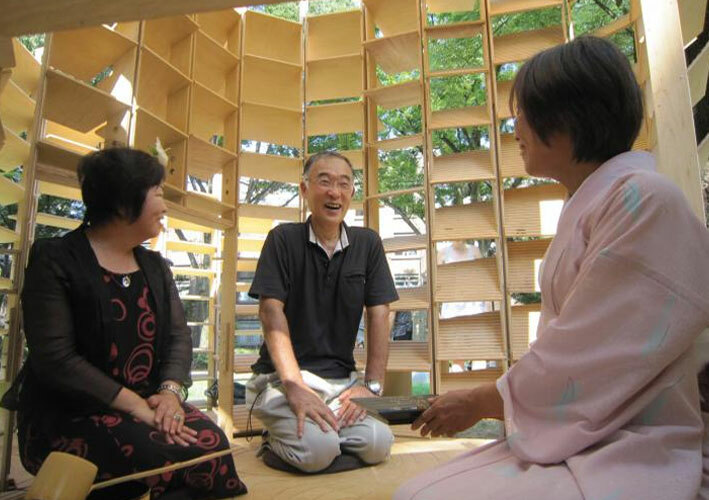 The notion of learning via the body parallels the regimented practice of the Japanese Tea Ceremony called Sado. 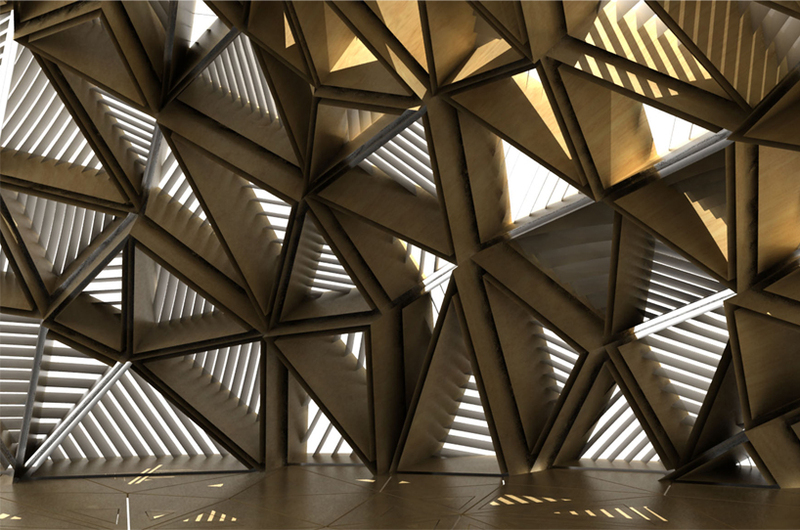 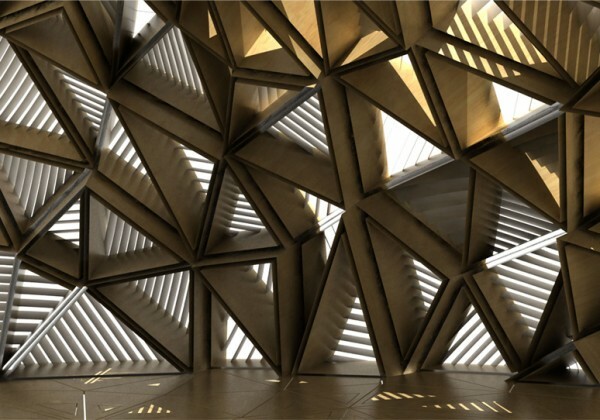 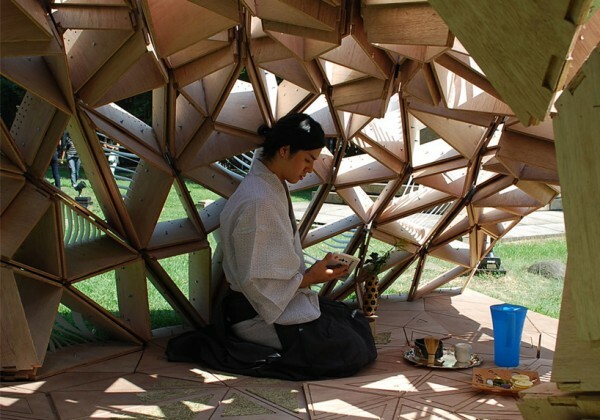 The ceremony or “the path of the tea,” is reflected in the tectonics of the spaces where it is performed, yet the practice of architecture has become digitized, often leaving behind this personal connection one might have to materiality. 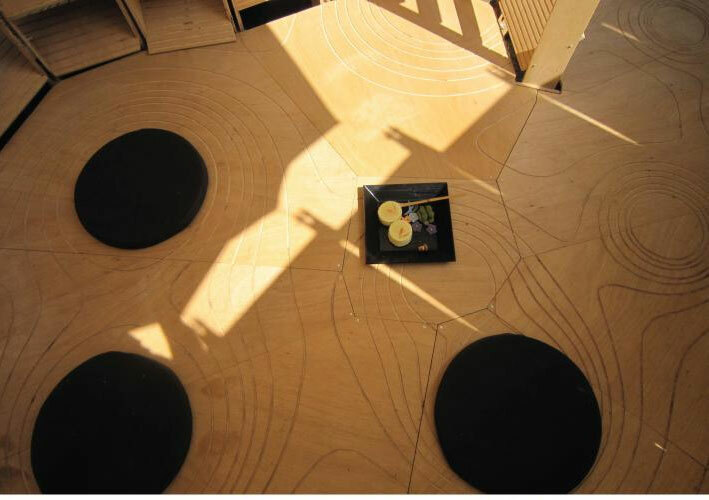 We seek to use act of constructing to allow the body to be the medium of learning, applying learned physical actions to intelligent digital techniques. 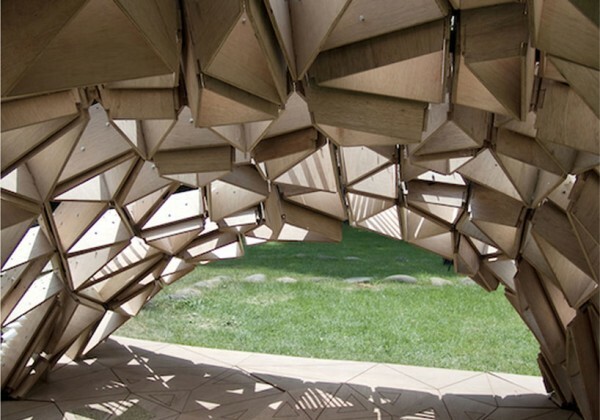 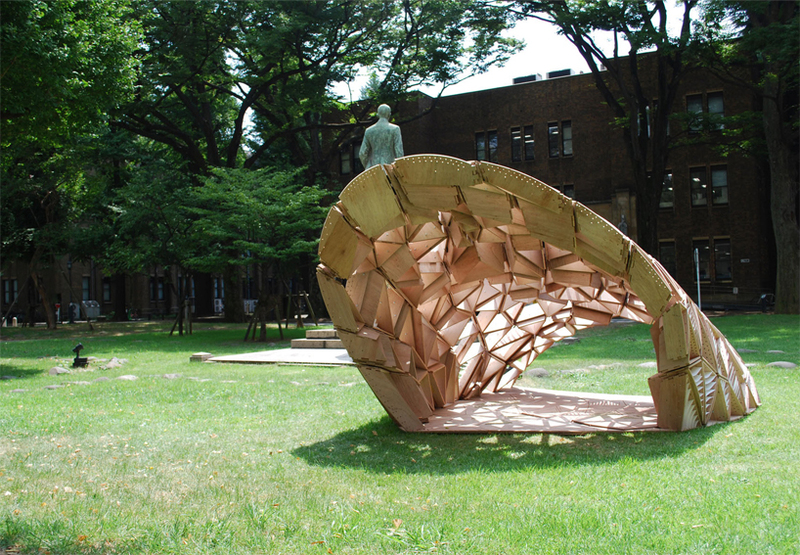 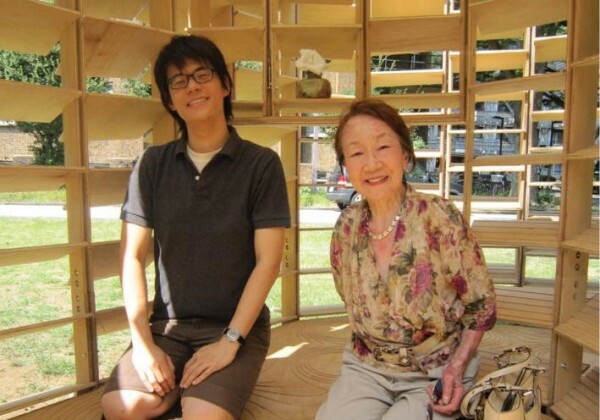 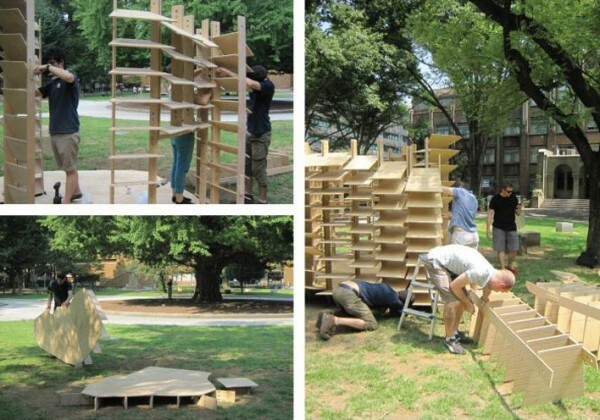 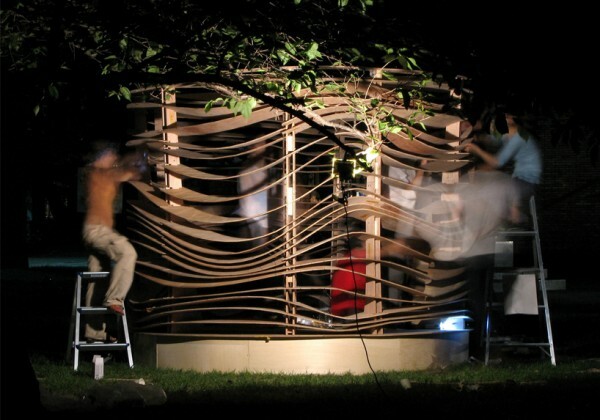 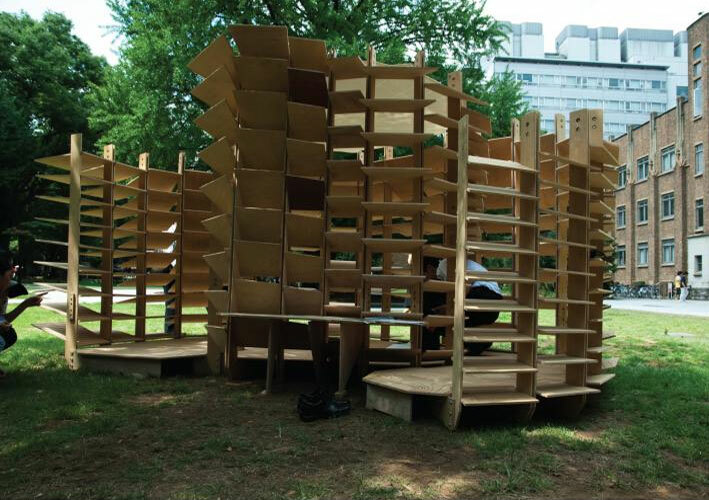 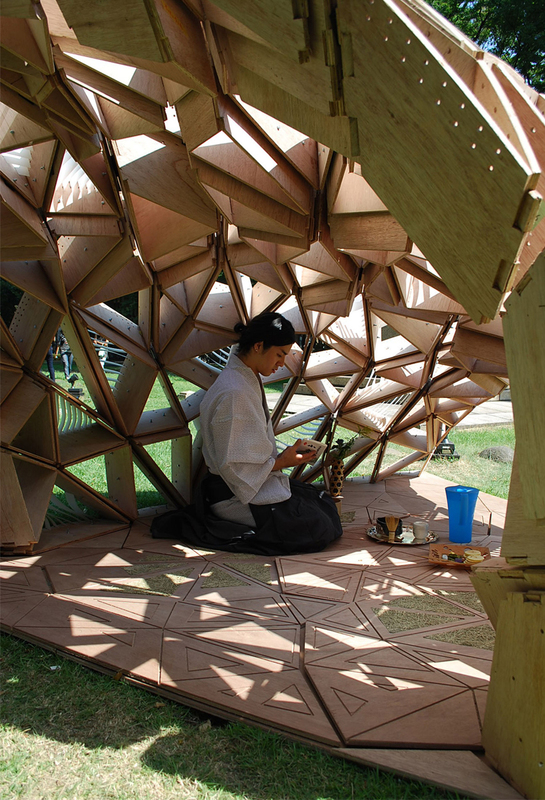 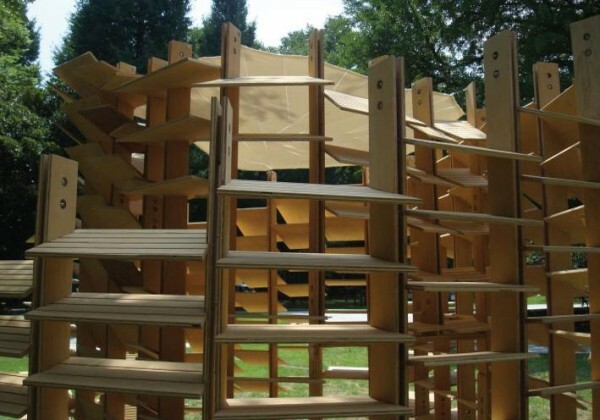 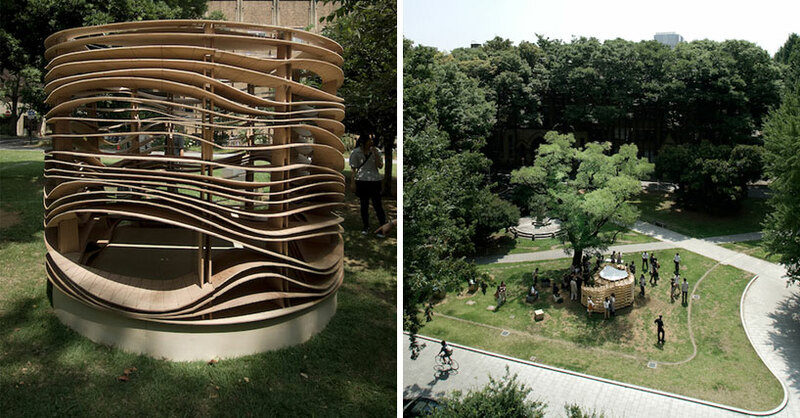 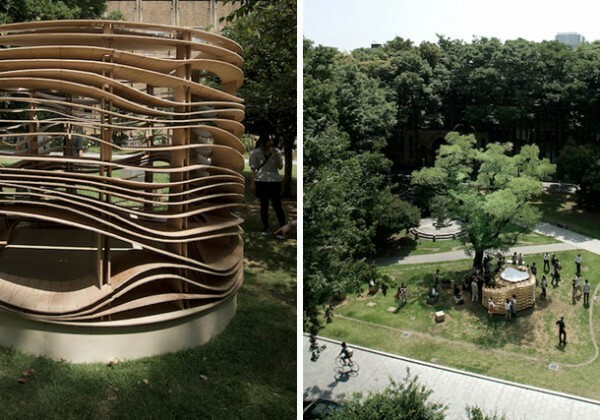 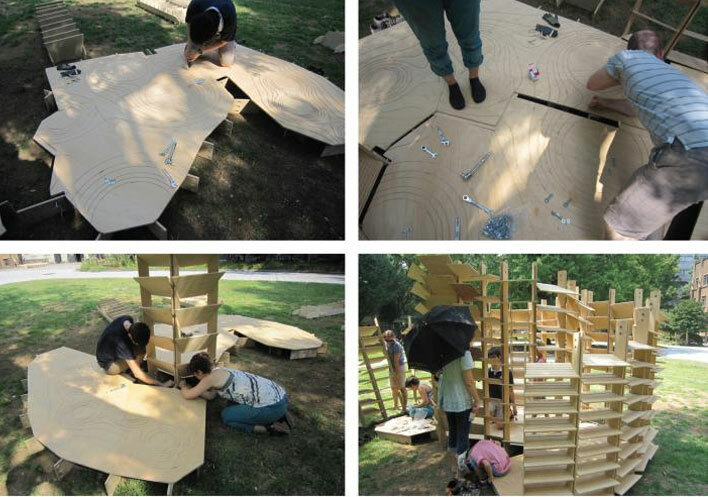 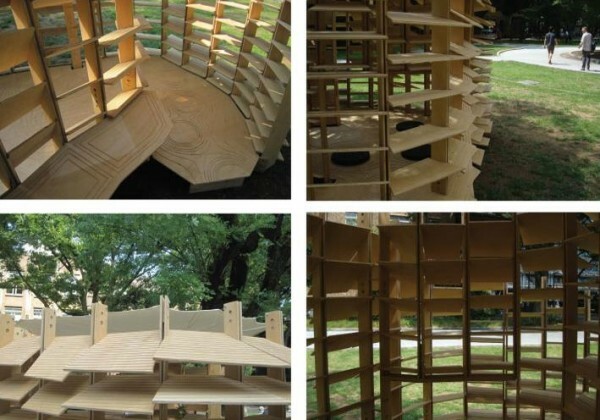 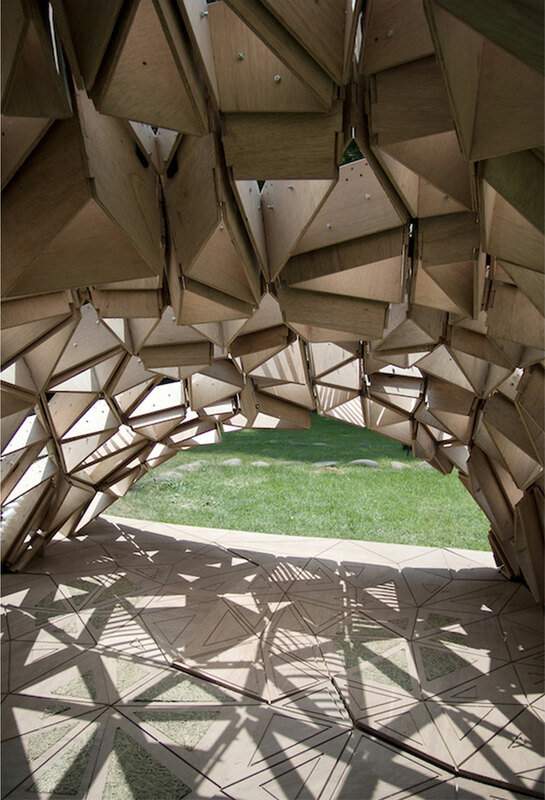 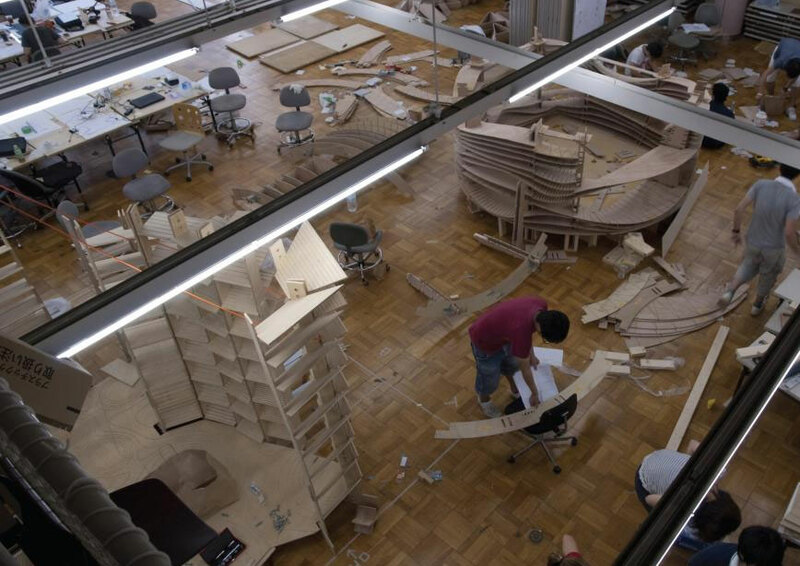 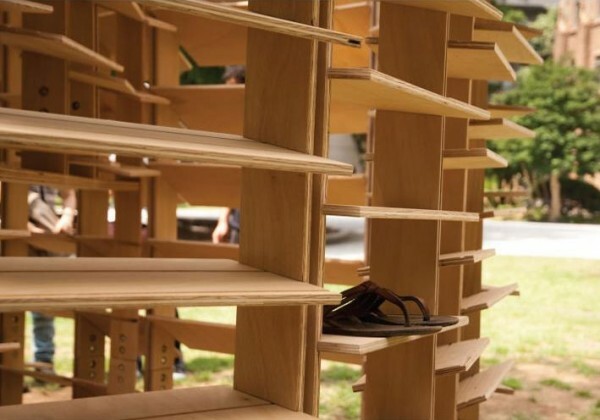 The project was a three week design-build charette in which twenty students from Columbia University and The University of Tokyo designed and built three modular and demountable “Digital Tea Houses" which were displayed at the University of Tokyo and later at Tokyo galleries. 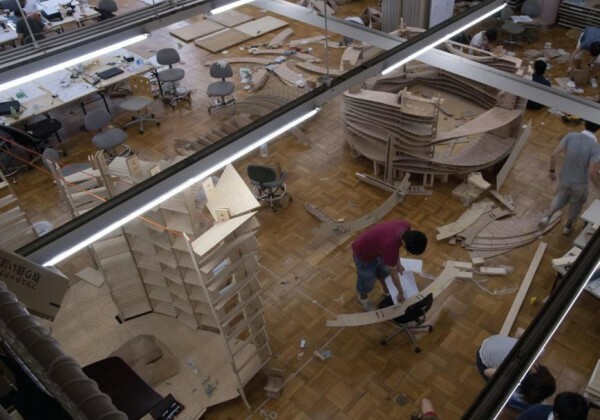 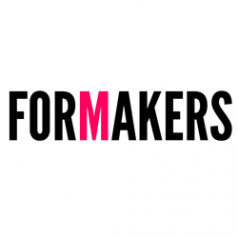 Columbia University GSAPP will publish a book about the project, following the publication model established by previous summer workshops. 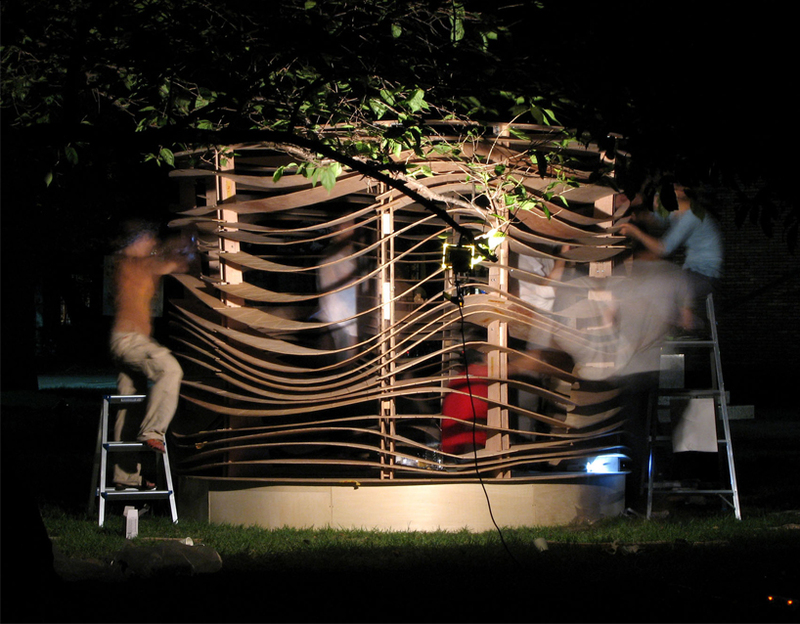 GSAPP has a long history of research publication, as open-source information sharing is a primary tenet of the school.